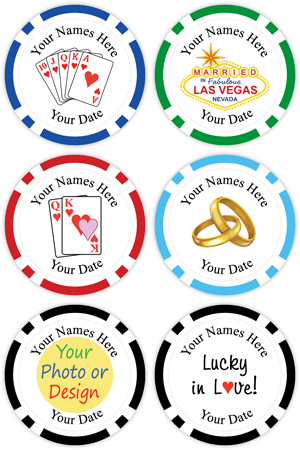 If you are having a Las Vegas, Casino, or Poker theme wedding, we have the perfect favor for you - Personalized Poker Chip Magnets. If you are getting married in Las Vegas or if you just want a unique wedding favor we have themes to match every wedding. 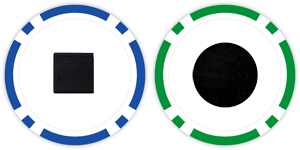 Use these personalized poker chip magnets for Anniversary party favors to remind everyone that it is possible to be "Lucky in Love". These also make unique "Save the Date" magnets. 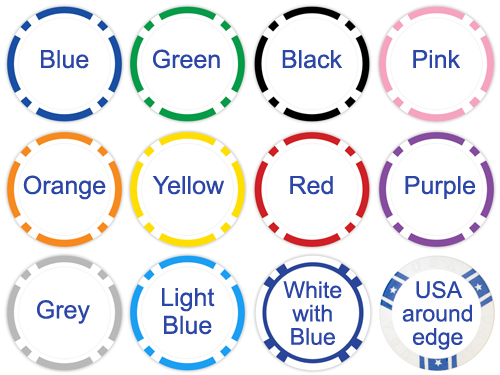 There are many choices for these personalized poker chip magnets, but if you would like something different, contact us and let us know what you would like.